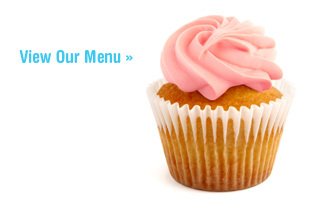 It’s not just a cupcake…it’s a Cupcakerie Cupcake!!! Here at The Cupcakerie, we think cupcakes are perfect for every occasion!!! Whether you are having a party, wedding, or looking for the perfect Valentine’s Day gift, cupcakes from The Cupcakerie will please everyone! Even if you aren’t the host, consider offering to bring cupcakes to the next event you’re attending. Not only will the host love you…the guests will thank you too! Call 304-212-5464 now to place your order!!! This entry was posted on Wednesday, July 2nd, 2014 at 4:51 pm. It is filed under Blog. You can follow any responses to this entry through the RSS 2.0 feed.